Yoshihiro Tagawa is the former leader of the doujin circle Riverside, under his _yoc. alias, where he mostly did Touhou Project remixes. He made his BEMANI debut on the JAEPO 2013 event, where it was announced that he would compose the final unlockable song of REFLEC BEAT colette -Winter-'s Pastel Adventure Legendary Mountain, Valanga. 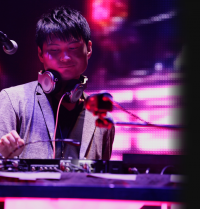 Since then, he has been a regular contributor to most BEMANI series. His musical style is very keen on the drum'n'bass, electro and hard dance genres such as schranz and hard trance. He has also dabbled on rock and metal genres, as well as some fantasy tunes under his DJ Totoriott alias. Yoshihiro Tagawa is part of the beatnation Records label as of February 15th, 2014, as DJ YOSHITAKA's choice. He's the leader and only in-house KONAMI composer of the new team, beatnation RHYZE. Yoshihiro was one of the sound directors of REFLEC BEAT, from REFLEC BEAT groovin'!! until the franchise's end in 2018. It is currently speculated that he is the sound director of the new title, 彩響DJアニクラゲ (formerly Rizminance). Yoshihiro worked as a composer for the KONAMI game series Jikkyou Powerful Pro Baseball (実況パワフルプロ野球) along with Naoyuki Sato. Yoshihiro is the only in-house KONAMI composer who provided a remix for dj TAKA's second album, True Blue..., remixing THE SAFARI. Yoshihiro is a Kaiden-level (Single Player) beatmania IIDX arcade player. He's also a very skilled Double player. Despite this, he admitted in the song comments for Adularia to using AUTO-SCRATCH and LEGACY NOTE when playing, since he's not good at scratching or Charge Notes. Yoshihiro did the system music for BeatStream and DANCERUSH STARDOM. Yoshihiro's favorite album is TOMOSUKE's marble album. This page was last edited on 13 March 2019, at 12:11.